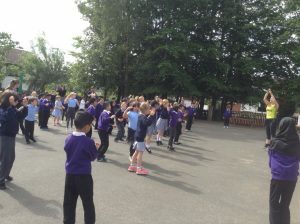 On Tuesday 21st June Freehold came to Thorp and we really enjoyed spending time with our pen pals. We did Zumba with Sharon and we played some games like musical hoops and noughts and crosses. 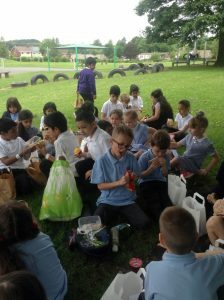 At lunchtime we had a picnic outside sat under a tree and we also went on the Trim Trail. 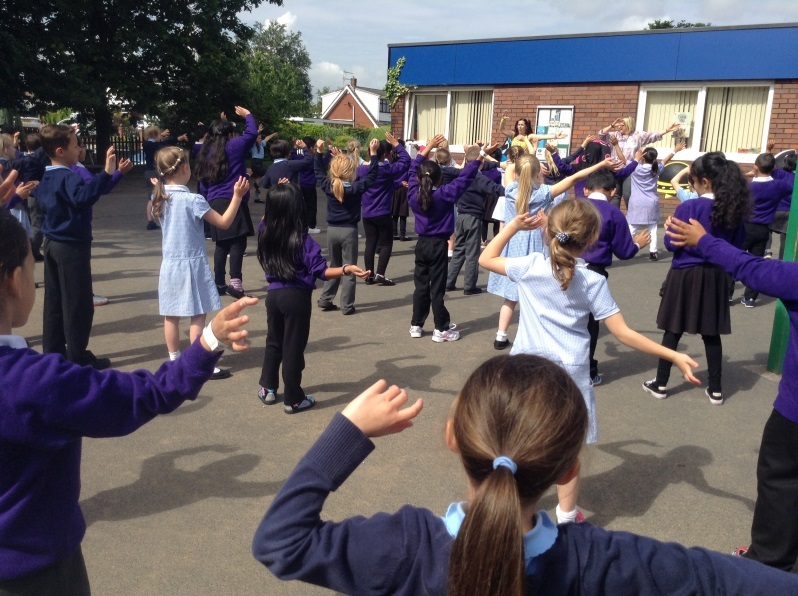 During lunchtime we played with all of the equipment like bats and balls and hula hoops. 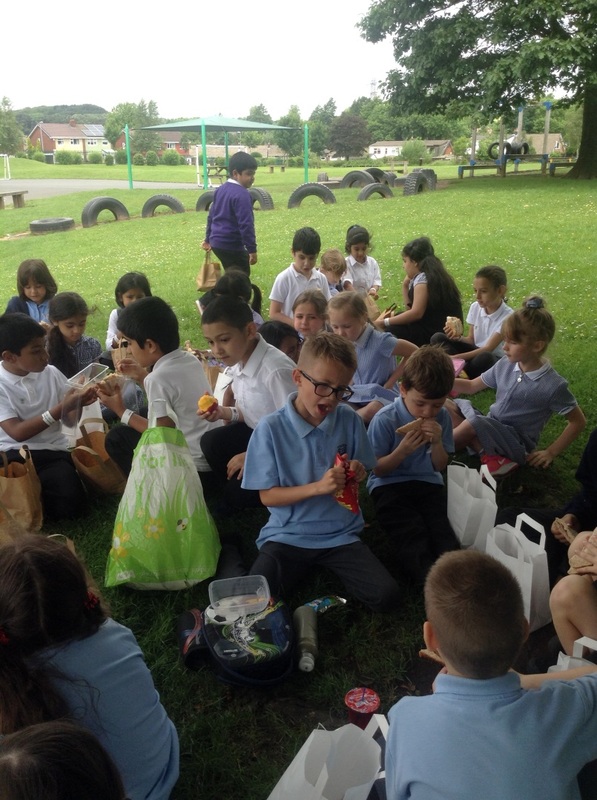 After lunch we had two special visitors, a Priest and an Imam and they came to talk to us about the similarities between Christianity and Islam. I missed this i was in spain. I really enjoyed doing Zumba with my penpal.